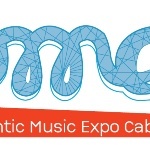 The Call for Proposals for Atlantic Music Expo (AME) 2015 is now open! Returning to Praia, Cabo Verde, for its third year, the AME brings together artists and music professionals from both sides of the Atlantic Ocean. Next year's event will take place from Monday, 6 – Thursday, 9 April 2015. AME was initiated by the Ministry of Culture of Cabo Verde under the guidance of the WOMEX 14 Professional Award Winner Mario Lúcio de Souza, and produced by Harmonia and WOMEX. WOMEX is encouraging the international music community to submit Showcase and Conference proposals and help shape what has fast become a staple on the region's cultural calendar. The deadline for all international proposals is Friday, 31 October 2014.